William B. Eerdmans Publishing Company, 9780802827869, 81pp. For at least a century, at special three-hour services on Good Friday, it has been the custom in many churches to reflect on the Seven Last Words of Jesus from the Cross. 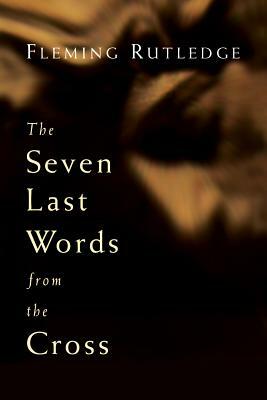 In this tradition, Fleming Rutledge here presents seven eloquent meditations on these final sayings of Jesus. Rutledge links the sayings from the cross with contemporary events and concerns, but also incorporates recent biblical scholarship and modern questions about the death of Christ, particularly in light of Mel Gibson's film The Passion of the Christ. Rutledge shows how each word or saying from the Cross affords an opportunity for readers to gain a deeper understanding of the horrific death suffered by Jesus. Intending for this book to lead readers into a genuine devotional experience, Rutledge has made every effort to evoke and preserve the contemplative atmosphere of the three-hour Good Friday memorial. The book includes frequent references to hymns associated with this special day, and each meditation ends with an appropriate hymn text for personal prayer and reflection.